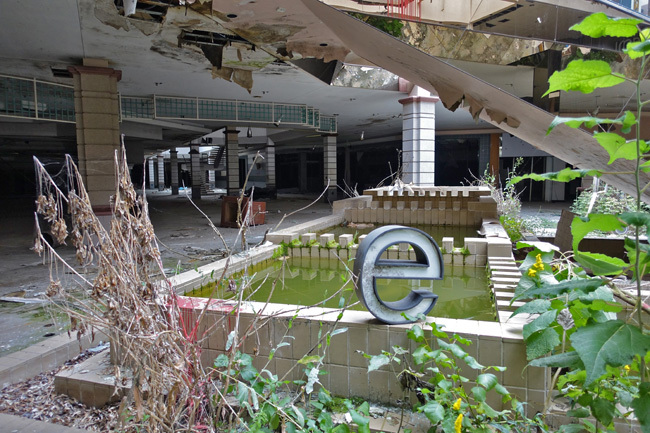 Rolling Acres Mall in Akron, Ohio was once a gleaming modern retail space bustling with life. 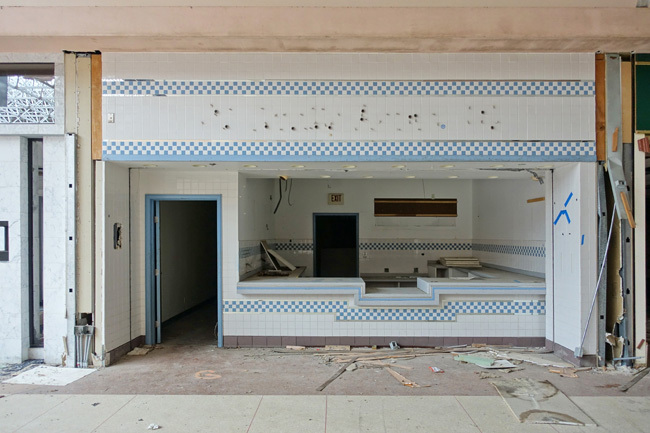 Few would have foreseen the desolate symbol of urban decay it would become only a few decades after it opened. 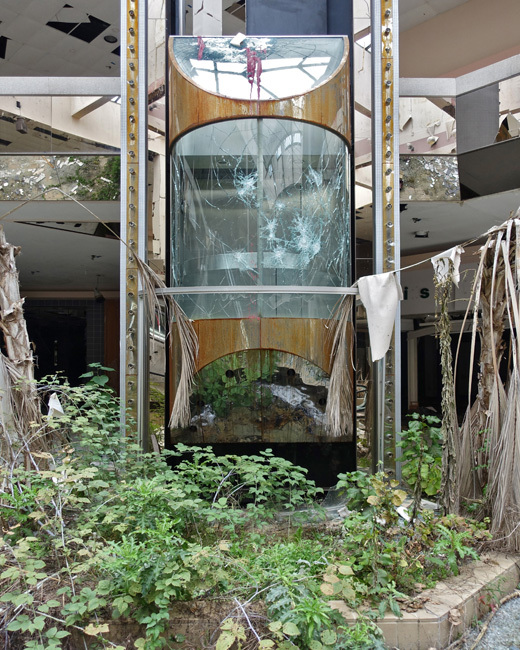 After exploring the overgrown ruins of an abandoned greenhouse complex, I continued east to Akron, home of Rolling Acres dead mall, easily one of the most interesting places I've ever explored. 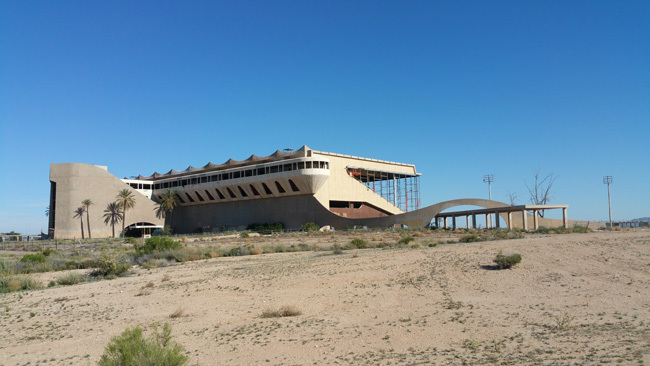 My heart raced as I crossed the sprawling parking lot marred by deep potholes and fissures toward the vast abandoned structure. The grounds were empty except for a few guys zipping around on motorcycles. Apparently the local law enforcement didn't mind them using the abandoned lot as a racetrack because they kept scrappers and vandals away. 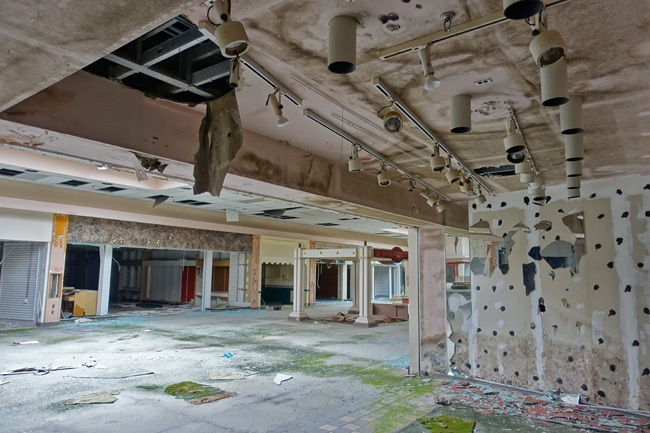 The ornate facades of anchor stores had fallen into severe disrepair. Weeds crept up around the sealed entrances. 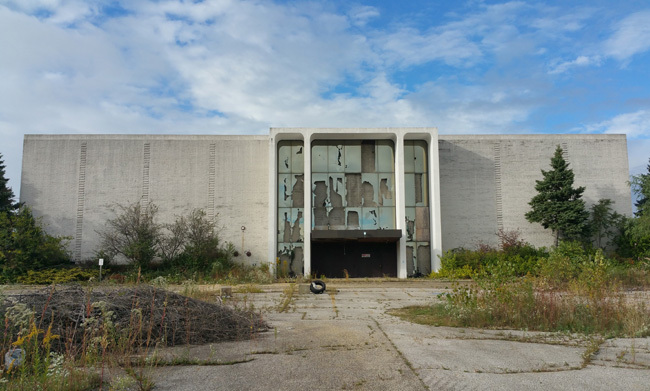 Created by Forest City Enterprises, a property management firm based in Cleveland, Rolling Acres Mall opened in the summer of 1975. 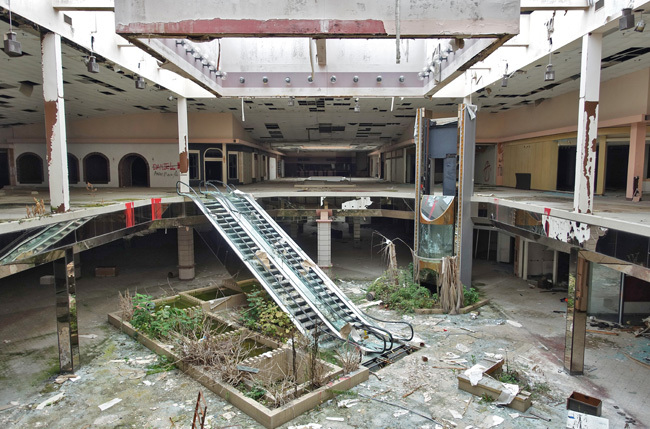 Originally consisting of 21 stores including Sears as its anchor, the mall rapidly expanded in its early years. The number of stores more than doubled and two more anchor stores were added. An aquarium was also built, but removed not long after (Unfortunately I wasn't able to find any historic photos of the aquarium. If you have any, I would love to see them!). 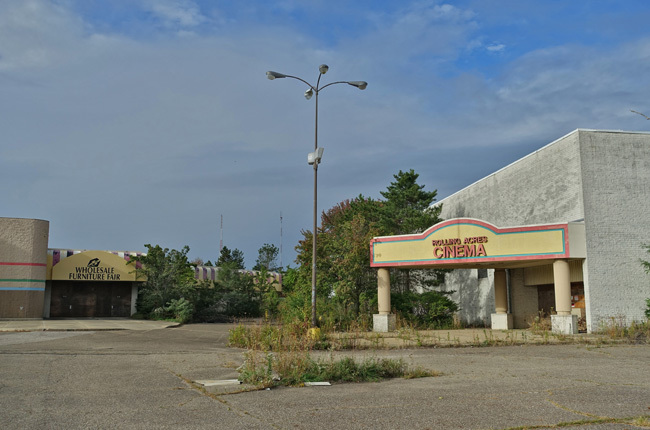 By the end of the decade, a three-screen movie theater was also added. and a variety of indoor plants. 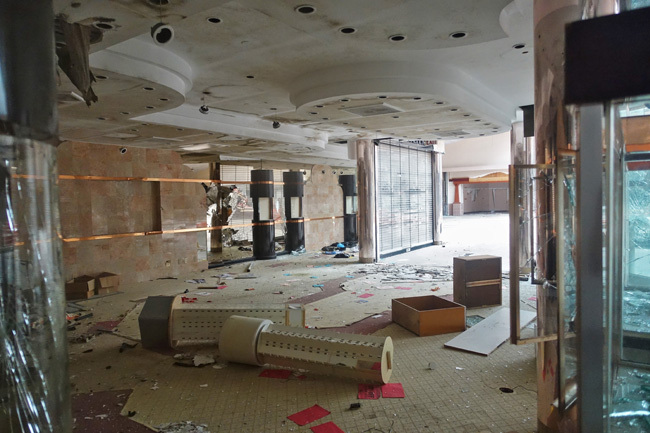 At the time of my visit, the mall had already been decimated by water damage, graffiti and vandalism. Still it wasn't difficult to imagine how grand Rolling Acres must have been in its prime. Huge geometric skylights angled up from the roof allowing plenty of natural light to spill in. At the junction of its main corridors stood a large geometric sculpture and water fountain. 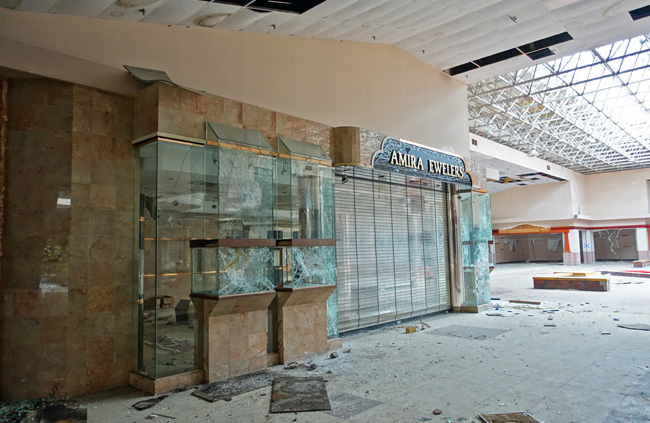 Over the years several of the anchor stores underwent changes. Montgomery Ward was replaced by Higbee's, which later became Dillard's. O'Neil's merged with May Company Ohio and later became Kaufmann's. 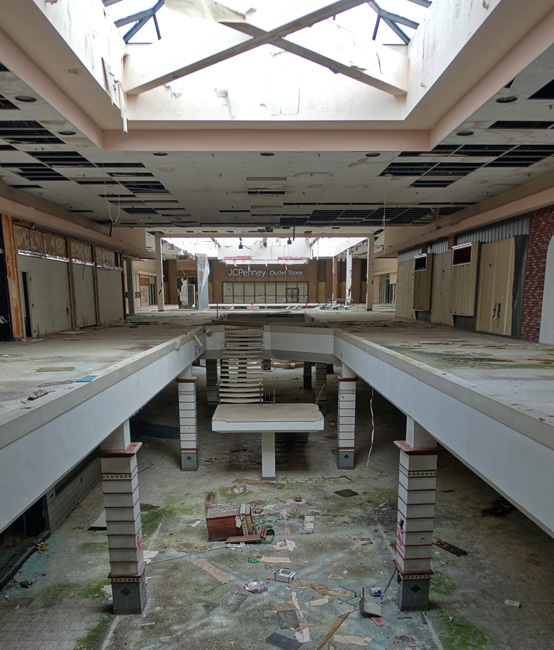 Target joined as the fifth anchor store in 1995, bringing the total number of retailers in Rolling Acres Mall to 140. The late '90s were a rough time for Rolling Acres. 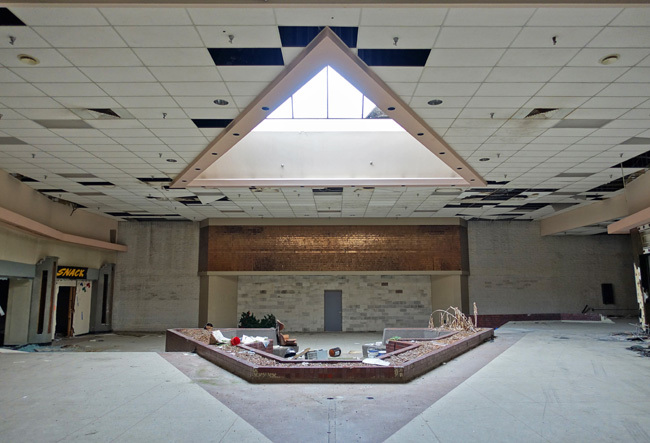 The mall developed a reputation as being unsafe and had trouble competing with the nearby Summit and Chapel Hill malls, which had recently undergone renovations and were located near more affluent areas. Stores began to close and several of the anchors downgraded to outlet stores. Target became the first anchor store to leave when it moved to a new location several miles away in 2006. 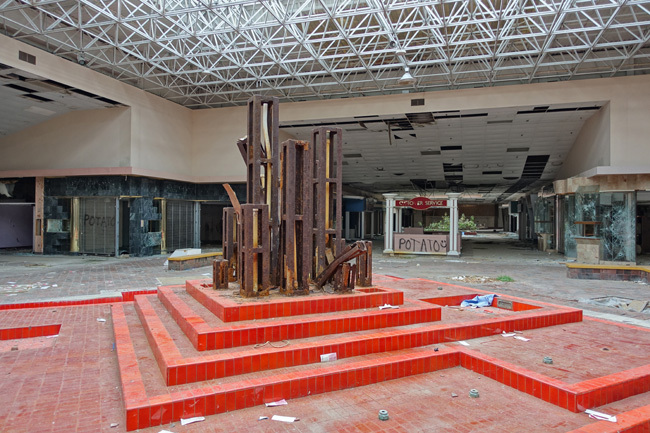 Dillard's closed later that year. 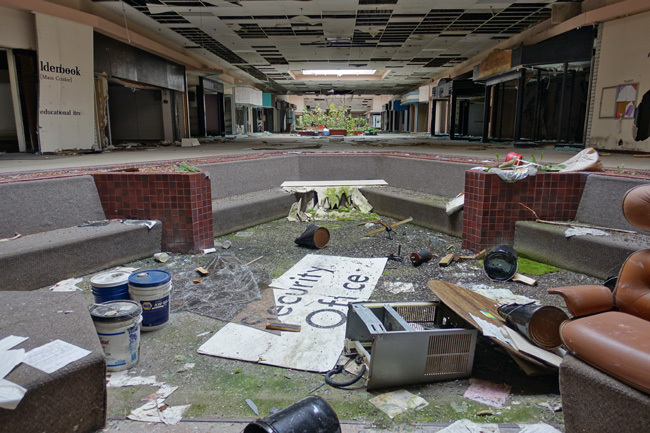 The mall was in such a state of decline that a 26-year-old man lived in a vacant store for several weeks before he was noticed and arrested. 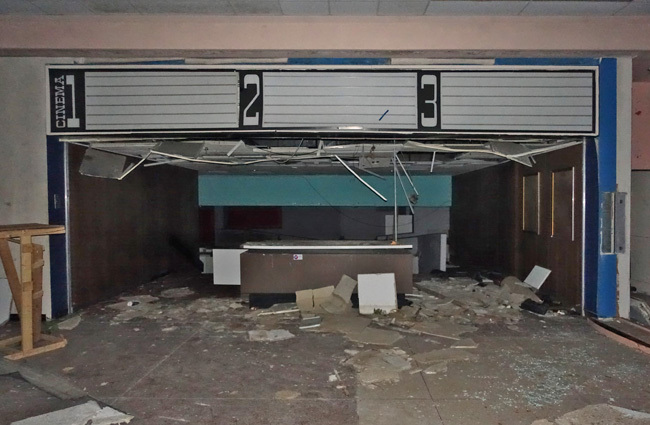 Macy's closed in March of 2008 and the movie theater, which had already closed and reopened several times, shut its doors for good in August. 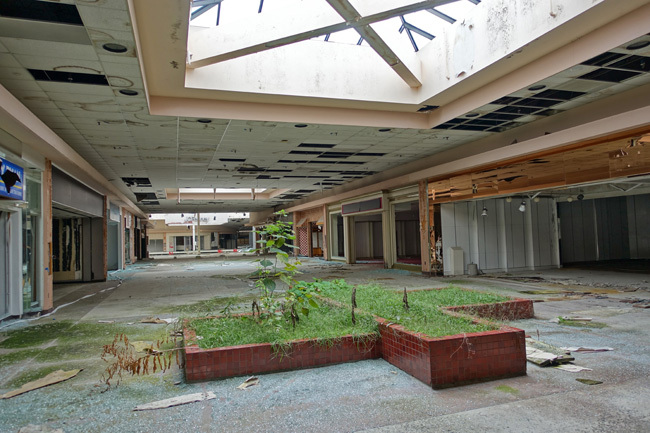 In October of 2008, electricity to the mall was cut off due to unpaid energy bills and the few remaining businesses had to leave. 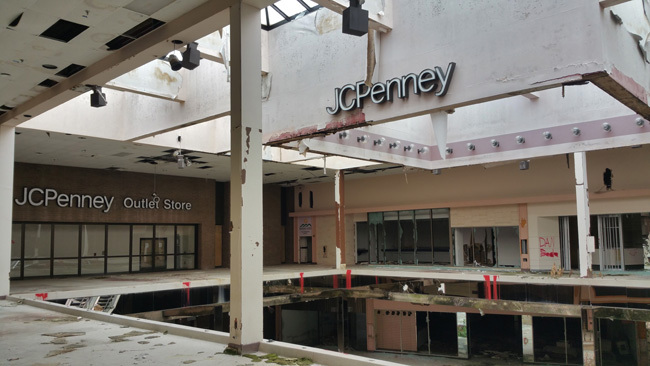 Sears and JCPenney, the last two anchor stores, were not affected and continued to operate for several years after the mall went out of business. 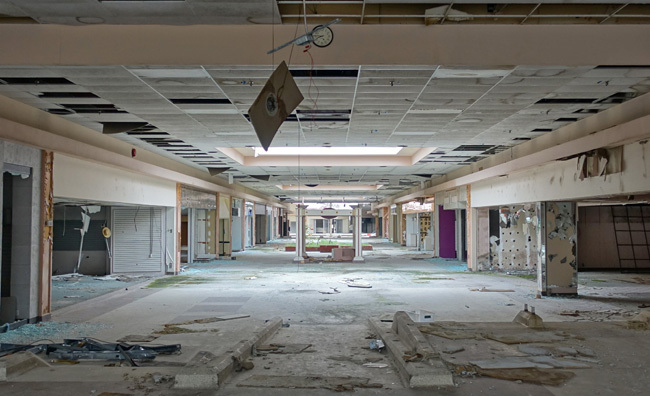 Sears finally closed in 2011. The following year, its former space was acquired by Pinnacle Recycling. 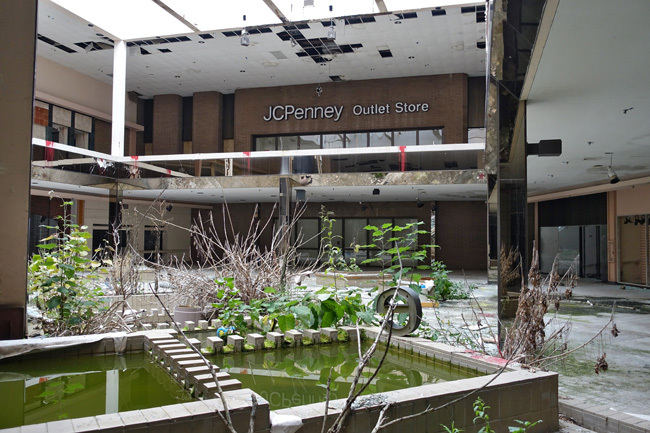 JC Penny's 5-Star Outlet was the only retail tenant until it too closed in December 2013. 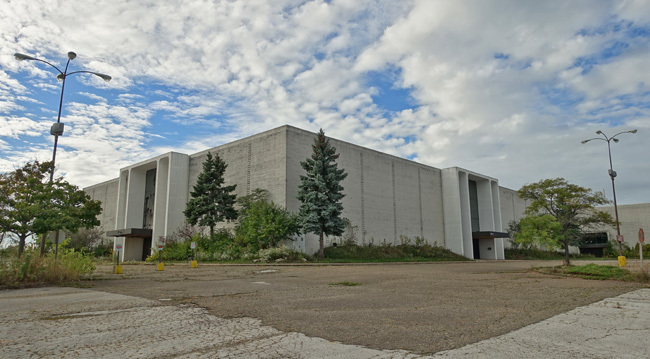 The building stood vacant until 2016, when JC Penney signed it over to the City of Akron. Storage companies now occupy two of the other former anchor stores. 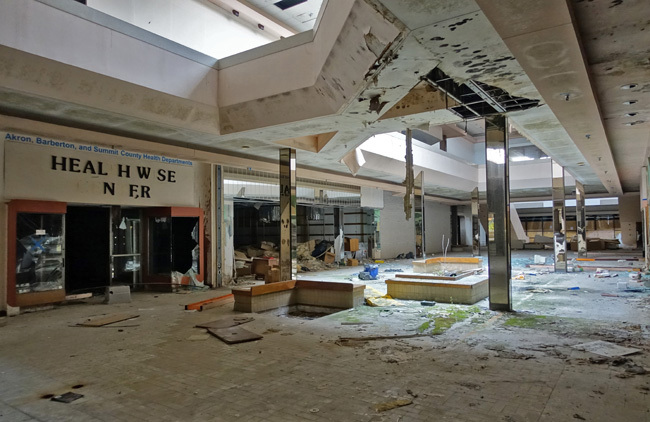 Since the mall closed in 2008, many of the skylights were smashed, letting in massive amounts of snow and rain. 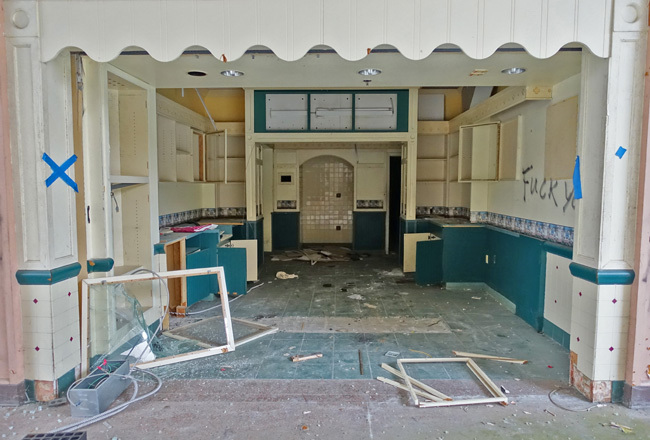 Structures tend to decay pretty quickly once the roof starts leaking. 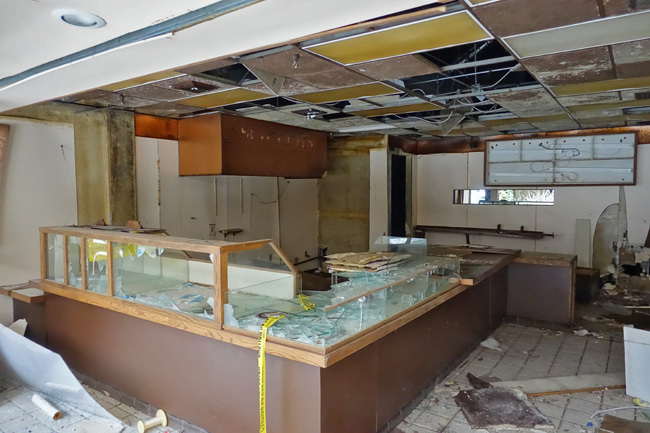 At the time of my visit in 2015, water damage was noticeable everywhere and in many areas the floors were still wet from the last time it rained. 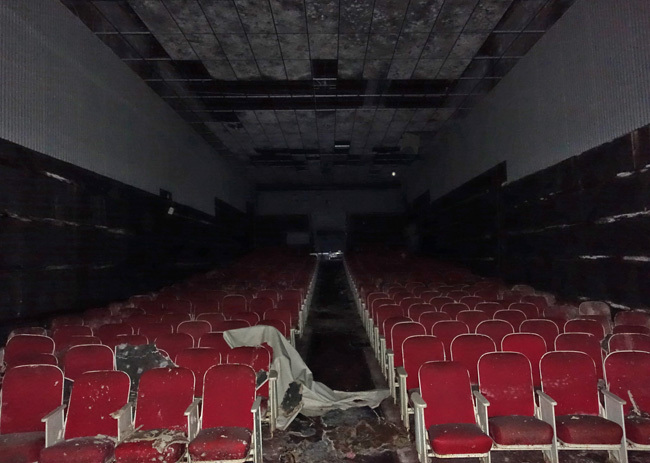 The layer of carpet and fallen ceiling tiles on the floor of the old cinema were so waterlogged that walking across it felt like stepping on wet sponges. 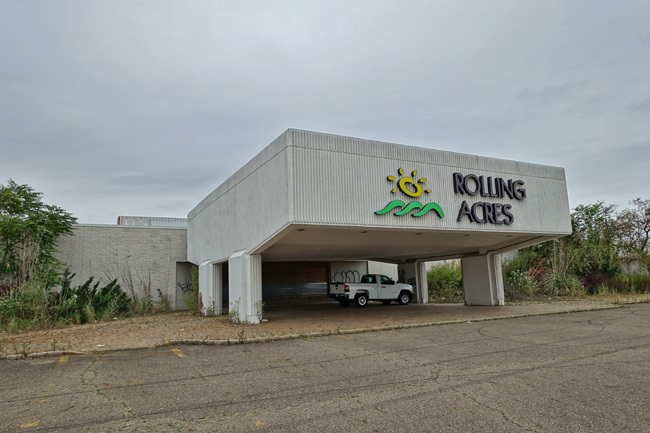 Rolling Acres continued to gain notoriety after it became a dead mall. In April 2011 a man attempting to steal copper wire was electrocuted when he accidentally tapped into a live wire. In November 2011 The body of Timothy Kern was discovered in the woods behind the mall. His death was later linked to the infamous Craigslist killer. Rolling Acres was a fascinating place to explore. I was fortunate to have been granted access. 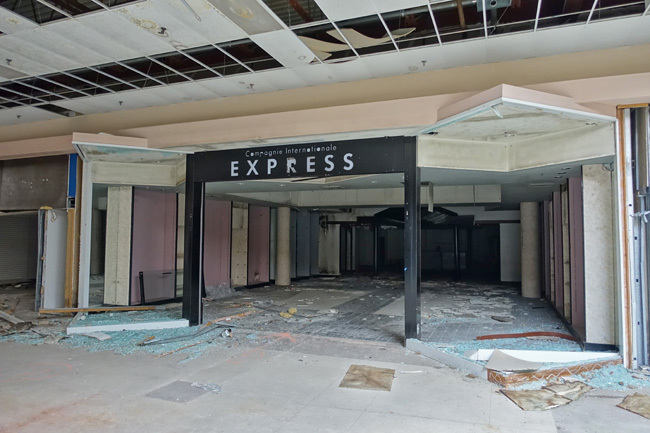 After years of decay, the mall structure was demolished in early 2017, though the former anchor stores still stand. A short distance from Rolling Acres is another of Akron's amazing abandoned places, Rubber Bowl Stadium. Click here for the full article. To receive an email announcement when I post new articles, please subscribe to Places That Were. 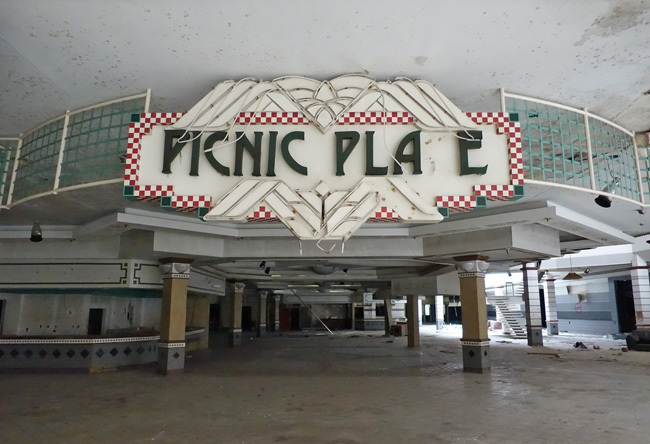 Click here to read about other awesome abandoned places I've explored.